Alex Bielanski graduated with a Bachelor’s in Food and Agriculture from Regional College with Honors Distinctions in 1990. Upon graduation, Alex moved to the United States from Poland. Alex has 19 years of experience in the hospitality business including having worked with Barturo’s Catering. A highlight of that experience was managing the cafeteria and galas for such high-profile clients such as Michael Bloomberg’s, Bloomberg’s Financial Market. 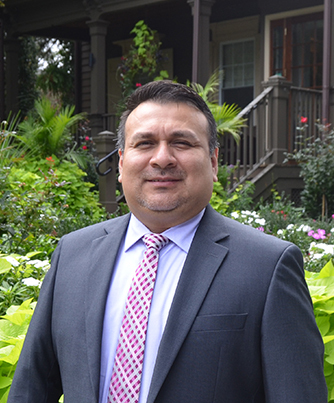 In 2003, Alex transferred to Washington Crossing Inn and served as the General Manager until 2018 when he became the Managing Director of Genesis Hospitality. “Dedication and hard work are the foundations to understanding the needs of our customers.”. George Parkinson is a member of The International Court of Master Sommeliers at the Certified Level. He has over thirty five years’ experience in both the Hospitality and Wine Industries. Past experiences include: CCA, Club Corp of America which include The San Francisco Tennis Club, The Lakeview Club, The Tower Club, Alaska among others; The St. Francis Hotel, San Francisco; Domaine Chandon, Napa Valley; Cain Cellars, St. Helena Ca. ; The Lafayette Park Hotel, Lafayette CA., Kendall Jackson Wine Estates and most recently Harvest Seasonal Grill and Wine Bar, Radnor PA. George is a published wine columnist for The Women’s Journal, Bucks County edition since 2007. His formal training was conducted at Johnson & Wales College, Culinary Arts 1980; Diablo Valley College, Pleasanthills, Ca. Business Administration 1992 and The University California at Davis, Managerial Economics 1994. George resides in Hilltown, Bucks County PA with his wife and three children. Alexis joined The Peacock Inn family in 2018. He began his career as a busboy in a casual-theme restaurant and quickly advanced through promotions to a managerial position. He continued his career at a more refined service restaurant as an Assistant General Manager at NY Cabana Nuevo Latino. He advanced trough promotion to General Manager, a position he held for 11 years. In 2015 he relocated to New Jersey where he contributed to the start-up of Havana Central in Edison, NJ as the restaurant Training and Floor Manager. Alexis earned an Associate’s Degree in Business Management from The College of Technology (TCI) in New York, NY and a Vocational Orientation Certification in Food Service Management at LaGuardia Community College in Long Island City, NY. His commitment and desire to provide the ultimate customer experience will always be a critical component of his management style. Shaun joined The Peacock Inn family in 2018. He began working as a Front Desk Agent at The Peacock Inn and has since held various management positions of increasing responsibility. 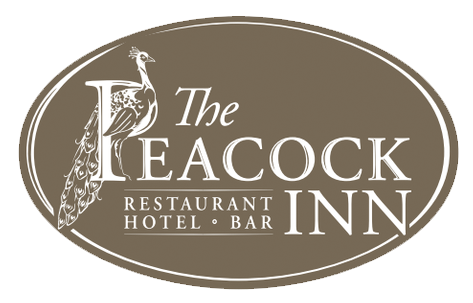 Sean brought over 17 years of management experience in the Hospitality Industry to the Peacock Inn Team. Sean earned an Associates Degree in Liberal Arts from Rowan College at Burlington County (formerly Burlington County college) and a certificate in Direction from the New York Film Academy. Sean is an avid enthusiast of professional sports and enjoys spending time with his two young sons.